ISBN 9780786681648. Jazz. 8.75x11.75 inches. The world of melodic jazz banjo soloing is revealed in this comprehensive method which leads a student from basic intervals to advanced theoretical concepts and finally to a firm foundation in jazz fundamentals. 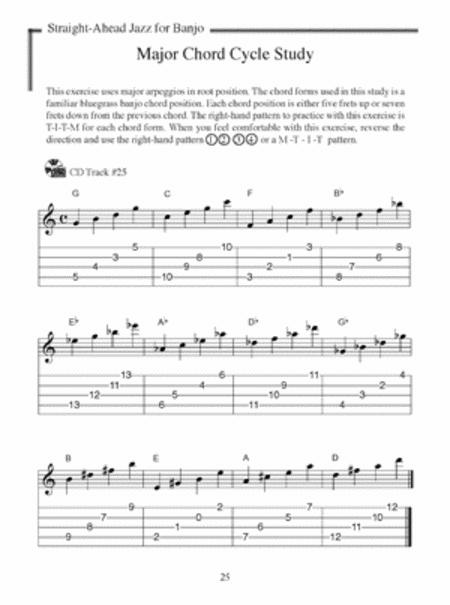 Included are over 90 exercises and examples written in both tablature fingerings and standard music notation which show how scales and arpeggios are used and how they apply to real playing situations. Every five-string banjoist can benefit from the information contained in this breakthrough volume whether they aspire to jazz or just want to find out more about the possibilities and structure of the banjo. Audio CD included. Starting with basic intervals, "Straight-Ahead Jazz for Banjo" shows the structure of all basic chord types and qualities and matches these to the scales that generate them. The book's basic concept model is to treat the five-string banjo's potential in an inclusive technical context so that the student can make use of open and fifth strings to create a smooth legato style. Each of the 90 exercises are recorded with a metronome and progress to 16 additional examples of original jazz phrases in a variety of keys. Topics include functional major and minor key harmony, diminished and augmented scales and how they are used, and the integration of altered scale substitutes in the art of jazz improvisation. It stresses listening and learning in a logical structured manner with an example of a daily practice plan. The unique emphasis of the book is on the fingerings which make the instrument work for you technically and thus open up added possibilities for the development of a student's personal style. 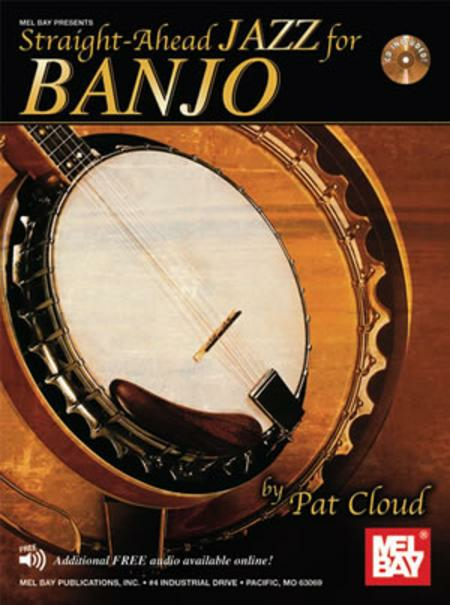 This long-awaited volume will surely bring new focus and perspective to any banjo style and will be a classic reference for many new generations of banjoists. Audio CD included.